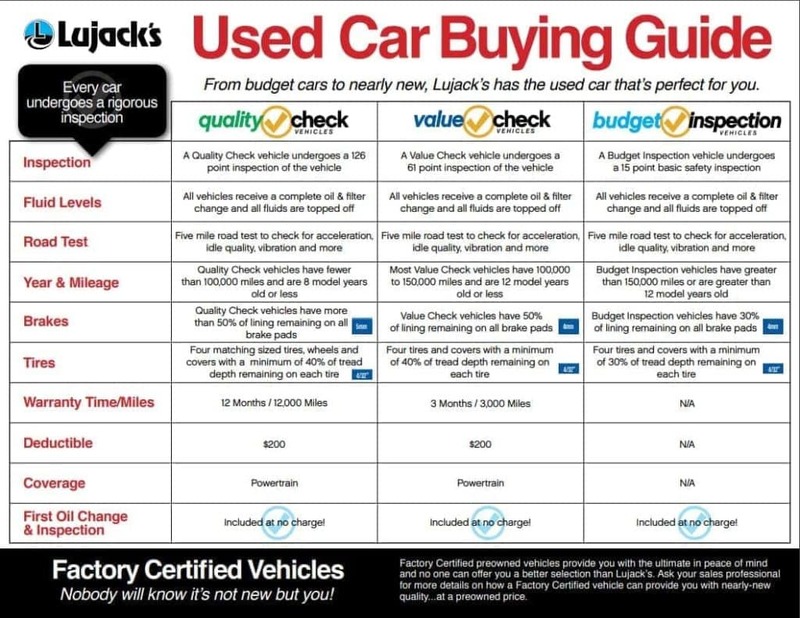 Lujack’s is giving the Quad Cities a better way to buy used cars. See More. Get More. Smile More. Save More. Welcome to Lujack’s, the Quad Cities’ largest automotive dealer group. For over 60 years, Lujack’s has been providing Quad City car buyers with exceptional deals on the largest selection of preowned vehicles. Hit the road with confidence in a Lujack Used Car.